What is the Trailblazer Fund? The Trailblazer Fund is Long Trail’s Annual Fund. An annual fund generates financial support for an organization on an annual basis. Why does Long Trail need a Trailblazer Fund? Tuition alone does not meet our costs. 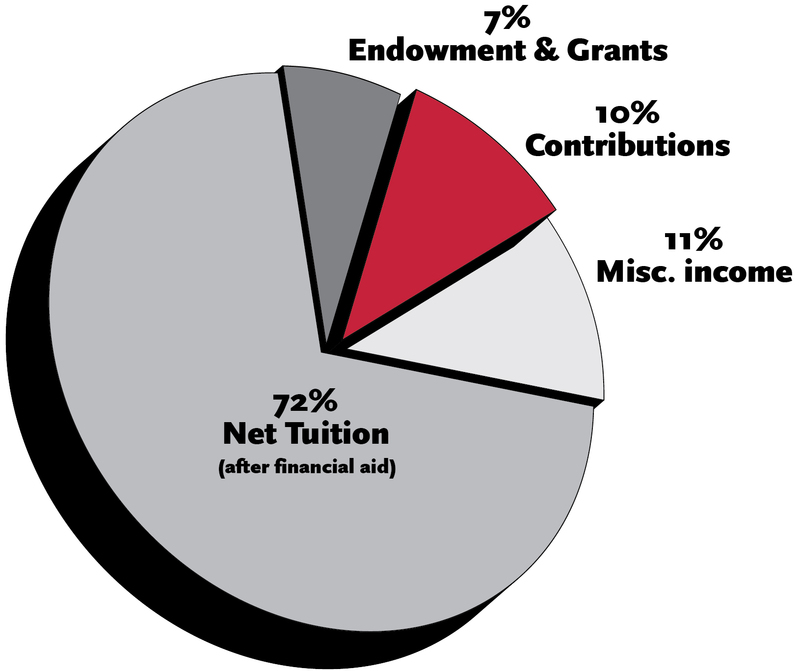 Town and private tuition covers 72% of the annual budget. A donation to the Trailblazer Fund closes the gap. Who gives to the Trailblazer Fund? The Trailblazer Fund is a full community effort – parents, grandparents and other family members, administrators, faculty and staff, neighbors, businesses and community friends. It takes a concerted and collective effort to continue to provide a dynamically balanced education for every one of our students. If there are community members that you know of who would like to enhance the Trailblazer Fund, please contact me. What is a reasonable amount to give for the Trailblazer Fund? All gifts, no matter the size, make a difference. We appreciate every contribution. We encourage you to make a donation that is the right amount for you. At Long Trail, Trailblazer Fund gifts range from $25 to $25,000. Most importantly, every single household’s participation is critical to the success of our school. The Trailblazer Fund gives LTS the flexibility to award greater financial aid, introduce new educational and extracurricular programs and assure competitive faculty compensation. How can I give a matching gift from my employer? Many companies match contributions made by an employee or an employee’s spouse. We encourage you to inquire about a matching gift program. It is a way to double your impact! Ask your company for the proper forms to submit. You can share them with the Development Office at Long Trail, and as the donor, you will receive credit for the total gift amount. Stock gifts can be orchestrated by our agent at Wells Fargo. To arrange for a stock gift, please contact Director of Development Courtney Callo at 802-867-5717, ext 161 or ccallo@longtrailschool.org.